Kitchens with a personal touch. Somewhere to cook but also often a place for the family to be together. Your needs will be unique to you, and your kitchen should be too. However, to get the exact look, you may need some help. Allan drawing on his experience as a Joiner and furniture maker will guide you along the path to your dream kitchen. What look would you like for your kitchen? 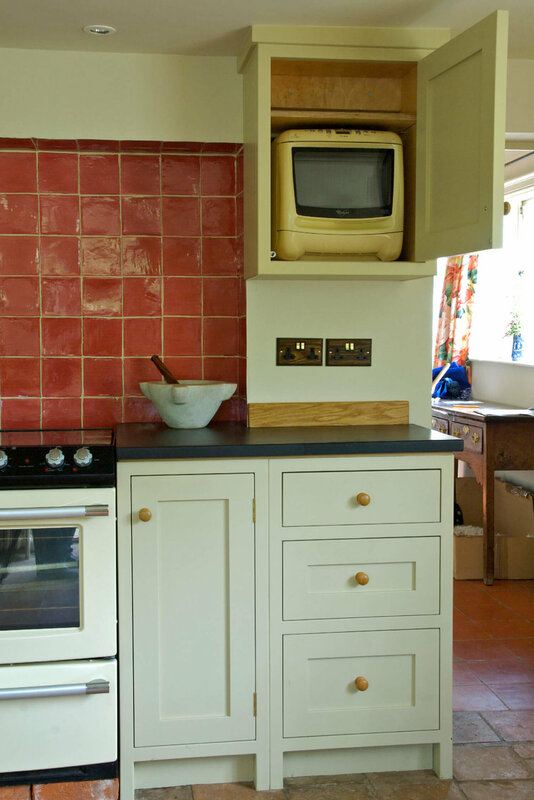 A painted farmhouse kitchen or perhaps a contemporary high gloss look and finish. Perhaps space is an issue? 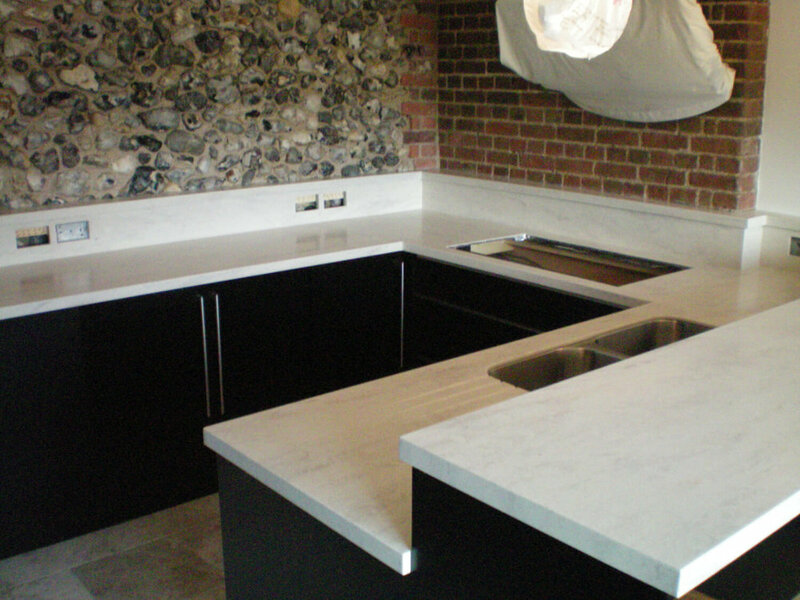 You want the right look but also need a kitchen designed to utilise even the most awkward areas. 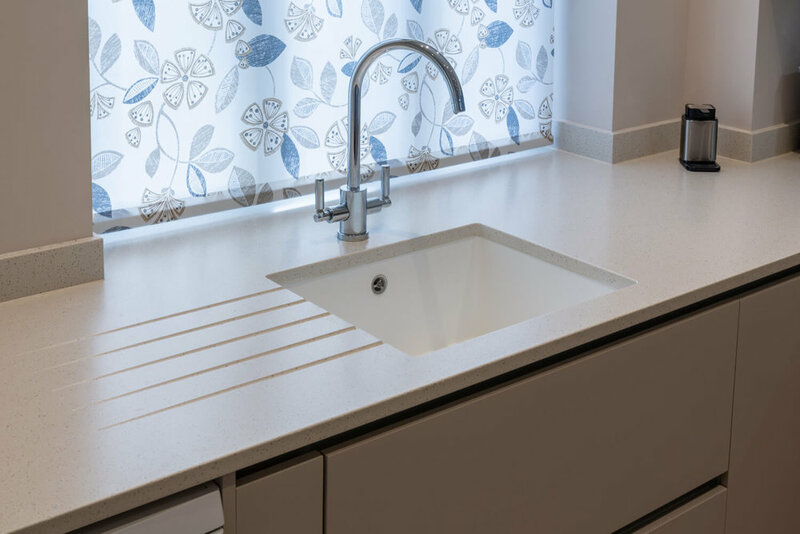 Whether it be timber worktops, granite, Corian or composite worktops through to dovetailed drawer boxes and handles, Spray painted units or hand painted for extra character. All designed and developed to your requirements. It's all about the details and the careful consideration of materials, timbers and finishes. Allan will be there to demonstrate and advise you every step of the way. On finalisation of the design, Allan will head back to the workshop and obtain materials from the best suppliers. Allan only works with timber from the best mills and merchants. 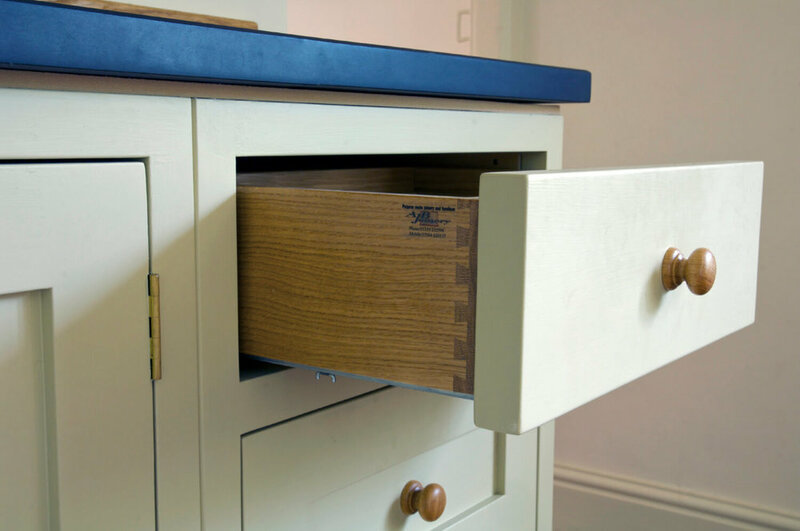 A combination of modern machinery, traditional joinery skills and great pride in one's work is the only way to achieve the best result and produce furniture that is built to last. In-frame kitchen with feature dresser. The installation will be down to Allan himself, and his hand-picked team. Therefore you can rest assured that all work will be completed and carried out to the highest standards. If you are looking for perfectly fitted, quality kitchen, complete with that all-important individual touch, you don’t have to compromise on the detail. Contact Allan to benefit from his unique personal service and reap the rewards of working with a craftsman who can deliver your very own bespoke tailor-made solution. Hand painted In-frame farmhouse style kitchen. 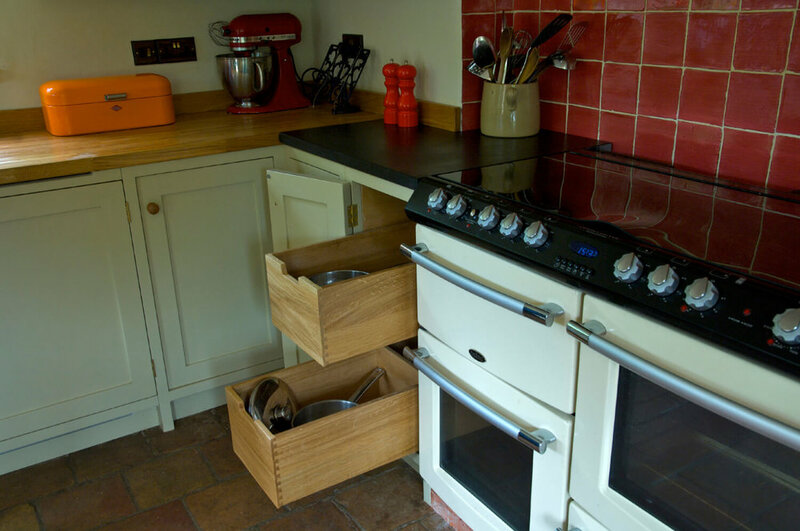 View some of the kitchens Allan has designed, built and installed for his clients.